Skerat's Synthtronica news: Is There Anyone Out There? Hello world and welcome to the July edition, of my monthly blog. Many of you will know that on the last weekend of each month, my show Skerat's Synthtronica of Australia goes to air on Radio Warwickshire. Last weekend was show four and as always the show featured a very fresh and exciting list of Australian synthtronic music. Did I say fresh and exciting? Yes absolutely there is some very excellent talent down here that should be heard. However after saying all this, I have to admit I feel a little frustrated. Why is this? Well it now appears that because it's an 'Australian only' show that it's getting a bit less love. Sure the show may go to air when you are perhaps busy, but even so the podcast is still available soon after the show. 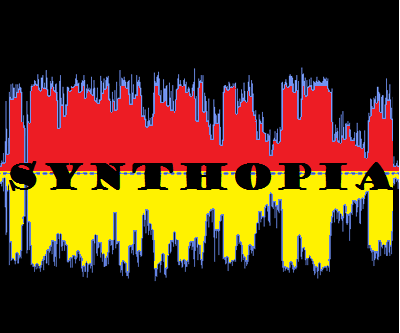 Of course the independent synthtronica shows for the UK, Europe and the States give and equally get great support for all the international acts and please believe me I think that, that is awesome. Some of those acts will be Aussie too, but believe me it will be a very small percentage. Which of course was what my old shows covered as well, but with a little extra Aussie flavor than the norm and the support by the various acts and listeners was truly fantastic and I greatly appreciated it. However I think with a lot of my past listeners and especially the acts that I have played in the past it is important to understand, that I was approached to do an Australian only show. While I genuinely stopped Skerat's Eclectic Podcast because I was extremely time poor, I still felt compelled to do an Aussie show when I was approached to do it. As our corner of the globe for the local independent Synthtronic scene, does not get quite the same exposure, as their synthtronic friends elsewhere. Yes a few do get played elsewhere, but it is still a very small ratio. Therefore I say to all of you who have supported me in the past, please understand I have not deserted you. In fact you will be all be aware that my Facebook, twitter and blog pages still support you all, just my show is giving my fellow Aussies a go. Have you deserted me? Okay now that I have got that off my chest and perhaps triggered a lively chain of responses, let's show you all what was played last weekend on show 4 of Skerat's Synthtronica of Australia. 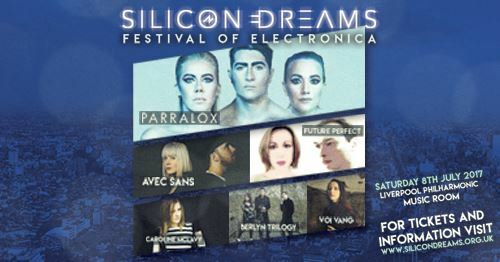 and remember for those from the Synthtronica scene in Australia and that includes ex-pats and overseas bands that includes Aussies, remember that this is also a great opportunity for you to get on the show. If your sound fits in the genres of synth-pop, new wave, or post punk and lends itself to a bit of an 80's sound get in touch. I have also widened the rage of what years those songs come from. Previously the range was from 2000 to now, but lets get the world to hear some of the excellent tunes that we have from the past. I have noticed bands are now putting up their material form the 80's and 90's on various portals on the net, so to those bands make sure you get in touch with me to. You can do that by emailing me at skerat@zoho.com , please have your tracks to me for consideration by the 2nd weekend of every month. Make sure though before you do that, perhaps have a listen to the latest show to get a sense of the style and genres of the show. On 1st July we are celebrating the launch of UnMute: A Tribute to Artists on Mute Records. The release is free to download and contains 48 covers split into 2 volumes. All songs are performed by unsigned artists covering Depeche Mode, Erasure, Yazoo, Fad Gadget and many more. I'd guess everyone reading this knows at least one song from the Mute back catalogue, and chances are that song is covered on UnMute! Tell your friends! Invite them to this event. Let's make this massive. And remember, the compilation is FREE TO DOWNLOAD. You can find all of these brilliant tracks and many more on my ever growing Skerat's Ultimate and Totally Eclectic Playlist, a perfect blend of great classic tracks, in combination with totally new tracks from my shows. It's at over 53 hours of tunes, so that makes for a great shuffle playlist. and before I go please remember to check out show 4 of Skerat's Synthtronica of Australia. 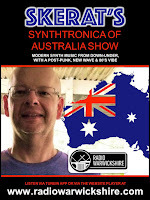 Also while you're there, maybe even check out some of my older shows and on the last weekend of June catch show 4 of Skerat's Synthtronica of Australia on Radio Warwickshire. The show will be on Saturday the 29th at these times. London 10:00 PM, Vancouver 2:00 PM, New York 5:00 PM and Melbourne Sunday the 30th at 7:00 AM. Well that's it for this month, thank you all for your continued and excellent support and until the first Sunday of next month this is Skerat over and out.